The trailer focuses on the character creator feature and provides players with an extended look at how they can create and play as their own DC Super-Villain character, unleashing mischievous antics and wreaking havoc throughout the action-packed game. A player’s character becomes the centre of the story, while teaming up with an iconic variety of villains to adventure through the hilarious and original story written in collaboration with DC Comics. A new character customisation trailer for LEGO DC Super-Villains, the first LEGO game to put players at the centre of a villain-centric adventure packed with favourite locations and characters from across the DC universe, prior to the official start of San Diego Comic-Con 2018. Fans interested in checking out the character creator feature will have an opportunity this weekend at San Diego Comic-Con, where a hands-on demo of the game will be playable at the LEGO booth (No 2829), DC Comics booth (No 1915) and the Warner Bros. Booth (No 4545) during normal show hours. 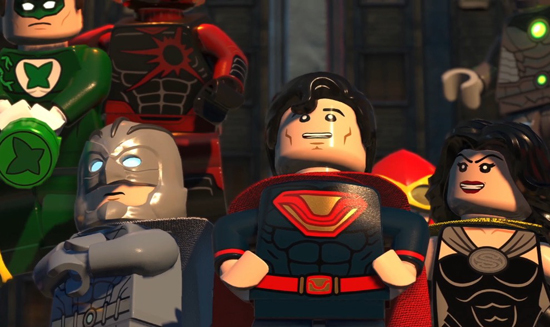 Additionally, the team behind LEGO DC Super-Villains, including Arthur Parsons (head of design, TT Games) and Ames Kirshen (VP, Interactive & Animation, DC Entertainment), and voice actors Kevin Conroy (Batman), Tara Strong (Harley Quinn), Julie Nathanson (Silver Banshee) and Fred Tatasciore (Solomon Grundy, Clayface, Black Adam, Killer Croc), will give Comic-Con attendees an inside look at the first LEGO game to put players at the centre of a villain-centric adventure packed with favourite locations and characters from across the DC Universe on Friday, July 20 at 2:15pm in Room 6A. This celebration of villainy will provide fans with exciting character reveals and details about the story. LEGO DC Super-Villains will be available in the UK on 19th October, 2018 for PlayStation 4, Xbox One X, Nintendo Switch, and PC. The Deluxe Edition (containing Game, Steelbook Case, Season Pass and Lex Luthor MiniFigure) is available exclusively at GAME in the UK and GameStop in Ireland. Players who pre-order the Deluxe Edition get early access to the DC Super-Villains TV Series Character Pack. Players who purchase the game at Sainsbury's and Argos in the UK will also receive a Joker dog tag.